I love surrounding myself with nature. 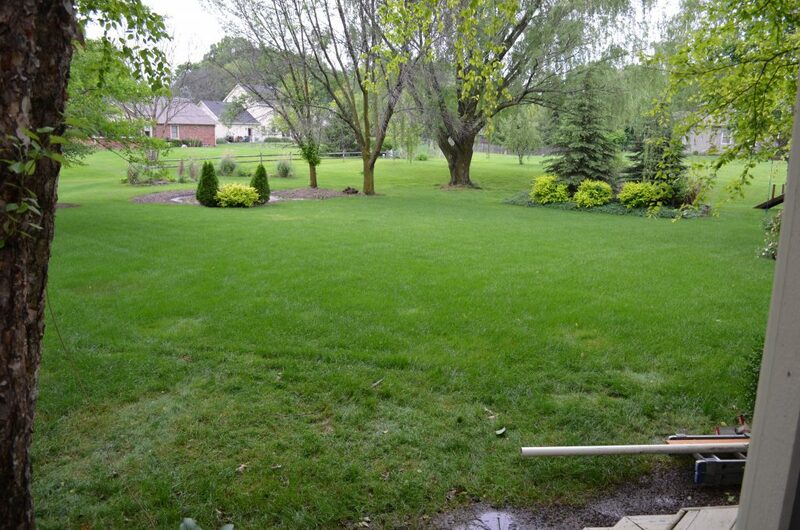 My happy place is in my backyard where we have a ton of trees, plants, and flowers. 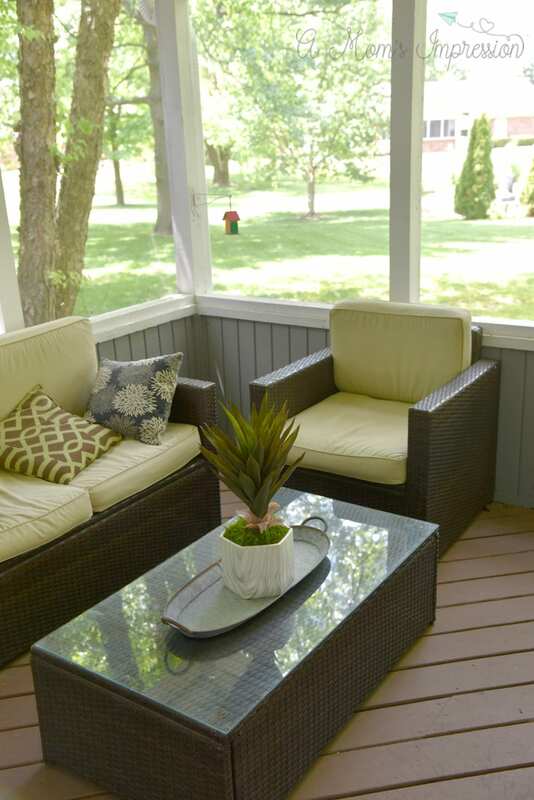 It is so nice to be able to hang out on our screened in porch and just enjoy our surroundings. I have tried for years to bring some of that nature into the house but I am notorious for not being able to keep houseplants alive. It is frustrating as I fear that my house is a little too plain and a plant here and there would really add to the environment. I have looked into getting some artificial flowers, but most of them look fake and that isn’t the look that I am going for. A few weeks ago, Nearly Natural reached out to ask if I would like to try a couple of their products. 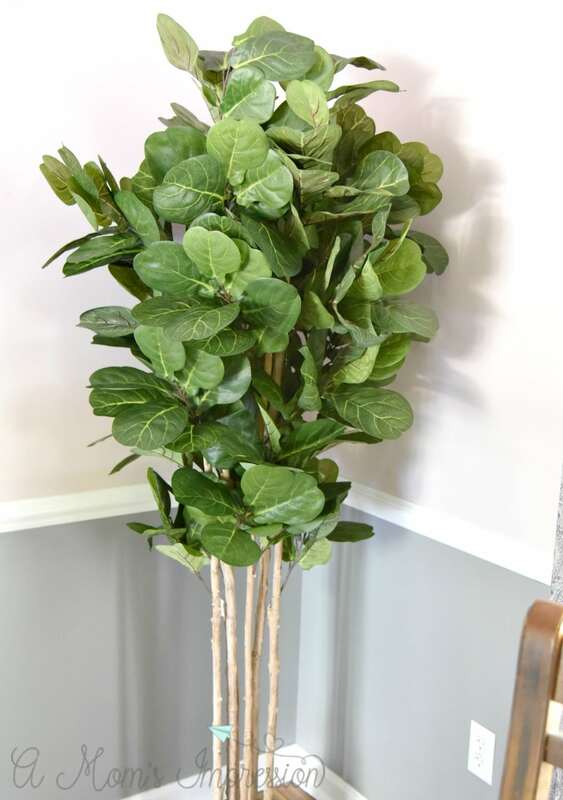 Nearly Natural specializes in realistic looking plants that are easy to take care of. In fact, Nearly Natural employs horticulturalists to ensure that their plants look real! I thought that sounded like a great idea, so I decided to look through their website to see what they have to offer. I was pleasantly surprised by the large selection of plants and flowers there is to choose from. I knew that I needed something bigger and more drastic for my dining room. I have been slowly redoing the space to fit my farmhouse style and was very excited when I saw that they carry Fiddle Leaf trees. 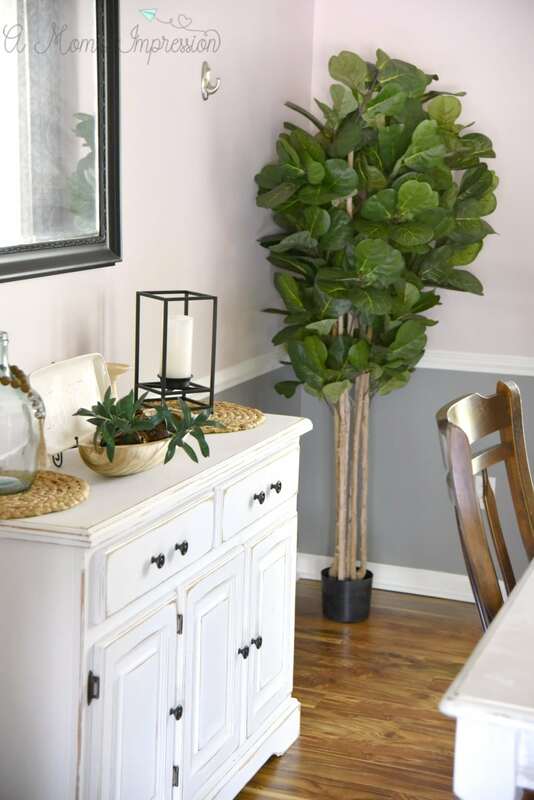 Fiddle leaf trees have gorgeous dark green waxy leaves and look great with many different styles of home decor. They are hard to keep alive so finding a good artificial fiddle leaf tree is exciting. When it arrived I was very happy with the way that it looked. I could tell that it was well made and will last us a long time. I put it in my dining room and I am very excited about the natural touch that it gives the room! I am now on the hunt to find the perfect planter to put it in! 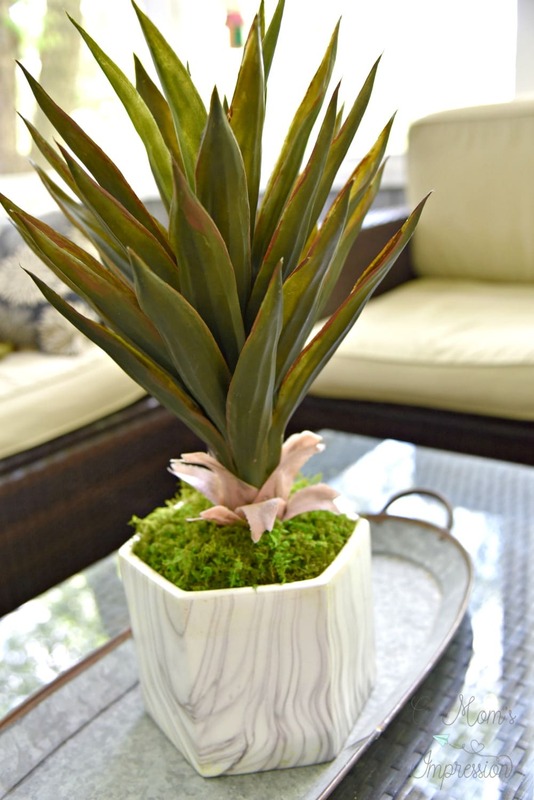 I also selected this Agave Artifical plant in a marble-like planter. I was extremely impressed with this plant, it was so lifelike! It ended up going out on our screened-in porch (another place where I can’t keep anything alive) and looks fantastic. We had some neighbors over the other night and a couple of them even commented on how much they liked it. I don’t think I have ever been complimented on a plant before. I love this Agave plant because I could put it anywhere in the house and it wouldn’t look out of place. The neutral planter makes it easy to mix with different styles so it looks good just about anywhere. Nearly Natural impressed me with they high-quality products. They are helping me achieve the look that I want for my home in spite of my lack of a green thumb. I don’t have to feel guilty about killing plants, and I get a maintenance-free natural look that my house was crying out for. Be sure to check out their website to see everything they have to offer! The wonderful people at Nearly Natural want you to feel like you have a green thumb too! They are giving everyone a 20% discount when you use the code GreenThumbKH at checkout! Go, get some amazing new plants and enjoy the savings!